Tumalo Creek, near Bend, Oregon. 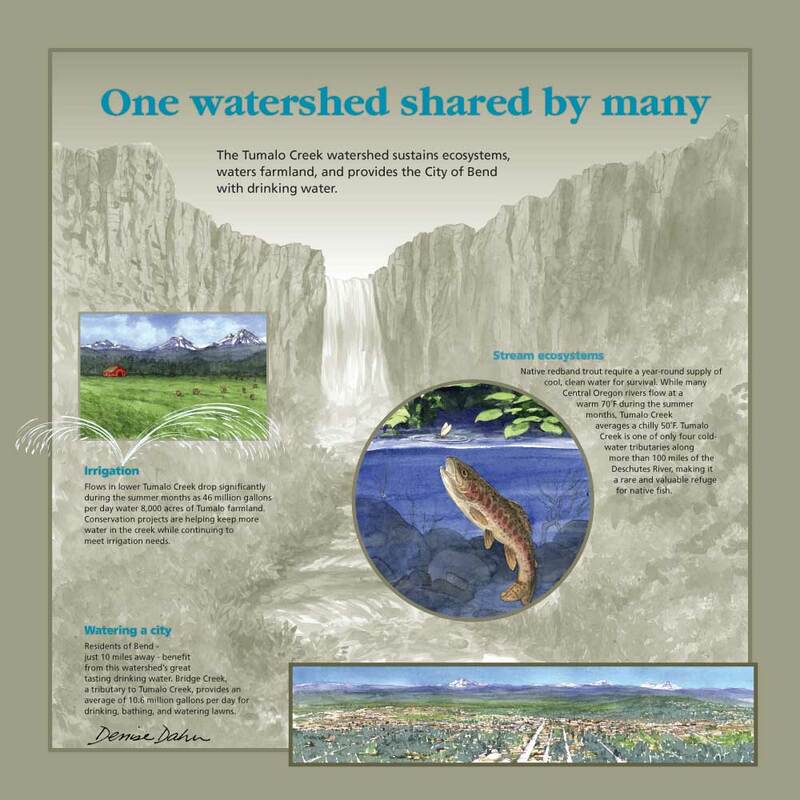 For the Tumalo Creek stream restoration project, I designed and illustrated a series of interpretive signs. 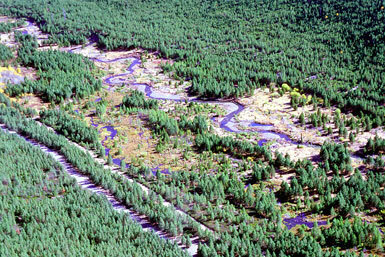 The stream restoration was a huge project that restored a stream habitat that had been severely degraded by a fire and subsequent logging. 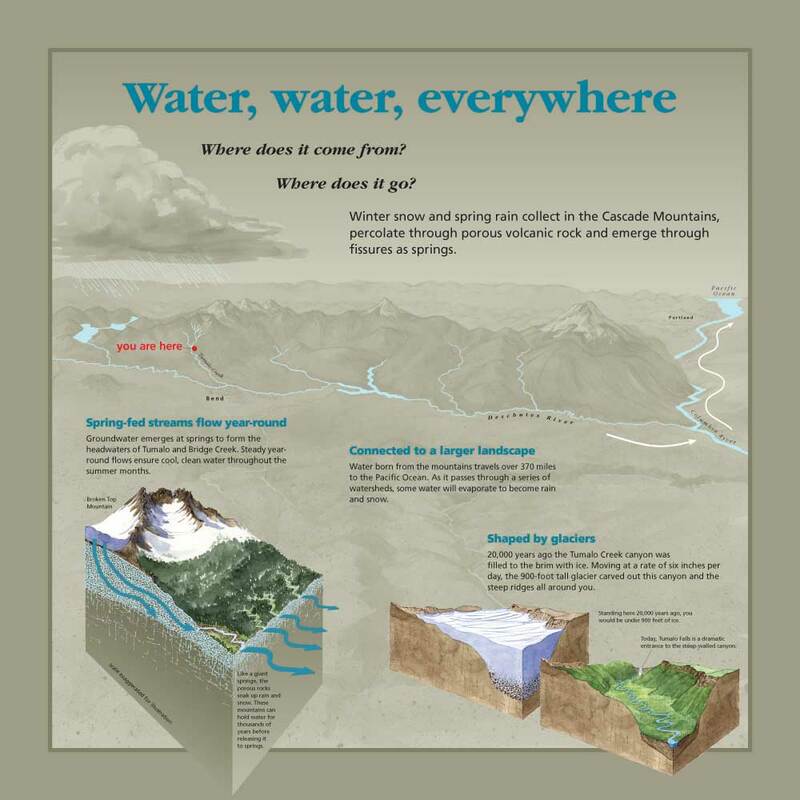 The restoration process restored the stream to a more natural system. Note: I added a signature/watermark on these images that doesn’t show on the final signs. Please do not download these images! 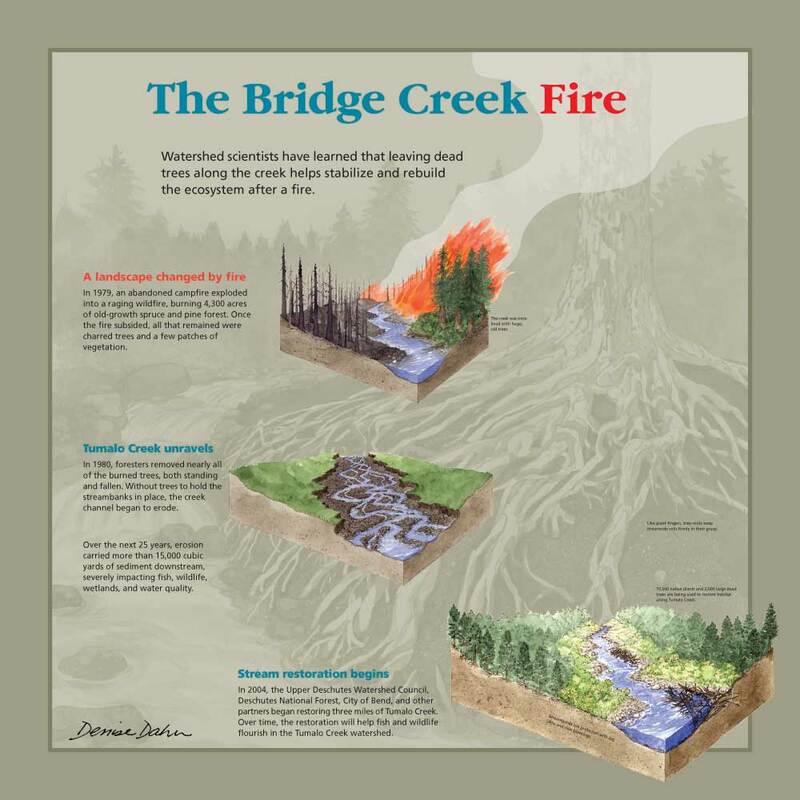 This sign interprets the connection between Tumalo Creek and the Deschutes River Watershed. Actual size of the sign is 4 x 4 feet. There is a popular waterfall at Tumalo Creek. The stream is habitat for redband trout. The stream had been severely damaged by a fire and subsequent logging. 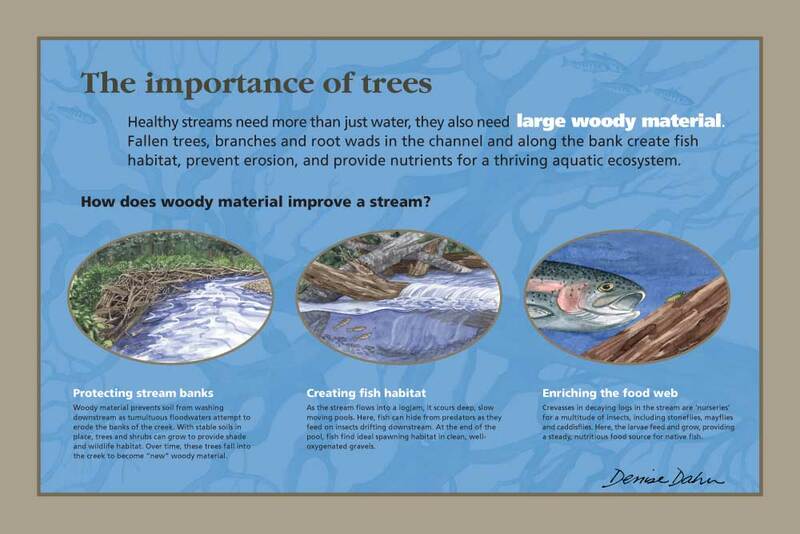 Woody debris is extremely important in stream habitats. 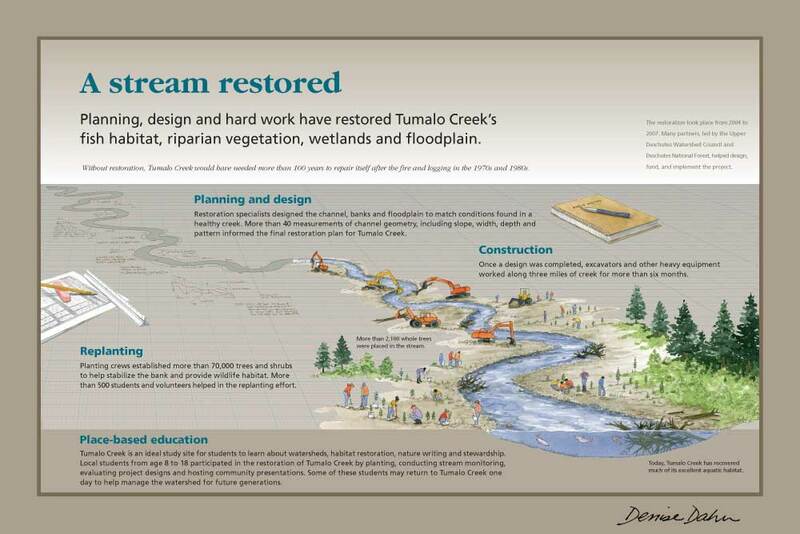 From planning to implementation, the stream restoration process was a fascinating topic in itself.